When 80 percent of Americans are living paycheck to paycheck, yellow-cab drivers are killing themselves under the burden of their financial woes, and close to half a million New Yorkers are unable to pay back their student loans, it is time to rethink the way we structure public spending in our society. When the economy busts, the too-big-to-fail banks are bailed out while the people on the ground are left homeless. When the economy is booming, the mega-corporations continue to extract money from the people through a number of different corporate welfare schemes. In fact, in places like New York, we give out more than $8 billion a year under 48 different types of corporate welfare programs, one of the highest dollar amounts in the nation and, according to economists, the worst in return on investment (ROI). One of the main reasons why the ROI is horrendous is that there is no statistical correlation between corporate welfare and economic growth. When Gov. Andrew Cuomo signs off on $3 billion in taxpayers’ money to a super-monopoly like Amazon, that money is most likely auctioned off, repackaged and refinanced to a third-party investor to liquidate the 10-year deal into a payout for Jeff Bezos. In other words, Bezos can sell the incentive package for $1 billion today to an investor who’s willing to pay that now and collect $3 billion in 10 years, netting a profit of $2 billion — a win-win for billionaires. Let’s stop this scam and put that money back where it belongs: in the pockets of the people. This is not just a plea for compassion. Major economists like Stephanie Kelton and Marshall Steinbaum showed in their study “The Macroeconomic Effects of Student Debt Cancellation” that when we liberate working and middle-class families from debt, the GDP and employment rate go up. Various socioeconomic factors like family formation and home buying will pick up as well, adding to the strength and resilience of local economies. Some might argue that if we don’t pay Jeff Bezos the money, he won’t bring all his “tech jobs” to New York. My response would be that if we liberate working-class people from personal debt instead, we will see a noticeable rise in small-business formation, leading to even more local job growth. If you prefer to inundate New York with thousands of corporate jobs as opposed to everyday jobs created by independent businesses, then we just have to agree to disagree on what we deem to be more important. For me, local economies and small businesses that recirculate our wealth and money into our neighborhoods are more important to our democracy. The public should not be fooled by technocratic and neoliberal politicians who cry words like “big tech,” “growth” and “jobs” to justify the transfer of our money into the pockets of the richest man on earth. We already have a vibrant tech start-up community in New York that does not rely on government subsidies to succeed. The bigger-the-better mindset that allows super-monopolies like Walmart and Amazon to grow has proven to do more harm for our democracy than good. In the past, when faced with similar behemoths, our federal government stepped up and busted up these mega-corporations because it recognized that competition and open markets are the backbone of our democracy. Since that no longer appears to be the case, state and local governments must push back against companies like Amazon by stripping away their corporate subsidies and redirecting that money back to helping everyday people. This is a gut-check moment for our city, state, nation and democracy. 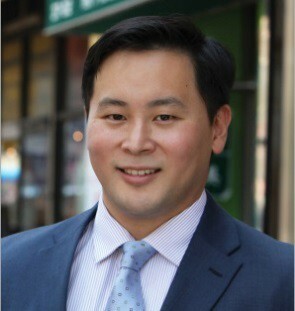 Ron Kim is an assemblyman representing Whitestone, Flushing, College Point and Murray Hill.